Need a Jesus Laptop to go with your Jesus Phone? 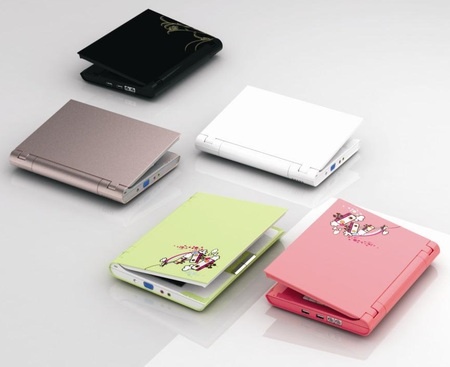 Next month you'll be able to get one: a new Eee PC rival dubbed the Jisus [sic]. Dutch supplier Van Der Led is spreading the word. Jisus' specifications are classic Eee: 8.9in, 800 x 480, LED-backlit display; 512MB of 667MHz DDR 2 memory; 4GB of solid-state storage; 802.11b/g Wi-Fi; two USB ports; 10/100Mb/s Ethernet; VGA output; and audio jacks. Van Del Led's Jisus: miracle of mobility? Just like the Asus machine, the Jisus runs Linux, in this case Ubuntu, though Van Der Led said it may offer the machine with other operating systems too. The company claimed the "miracle" sub-notebook has a four-and-a-half hour battery life. What makes the Jisus stand out is its use of the China-developed Loongson processor, a 64-bit chip clocked at 1GHz. The Loongson - aka 'Dragon Core' - is compatible with the x86MIPS instruction set, and was developed to ensure Chinese computer makers don't have to rely on foreign chip makers Intel and AMD. The machine's graphics are handled by a chip listed as the SM712: we assume it's Silicon Motion's ultra low-power 2D graphics controller of the same model number. SM offers a 3D version too, the SM722. Van Der Led said the Jisus is scheduled to go on sale on 25 May - a Sunday, no less - priced at €300 ($473/£240). It will be available in a choice of white, brown, green, pink and black.